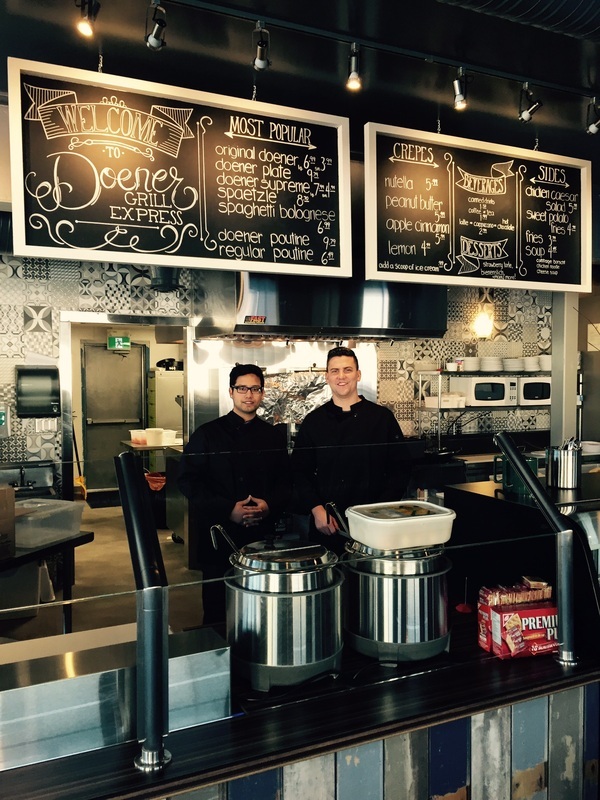 Doener Grill Express is a locally owned restaurant located in the heart of downtown Steinbach. Known for specialty desserts and tasty sandwiches Doener is one of Steinbach's favourite lunch and dinner restaurants. As customers walk in they will notice a warm and inviting atmosphere, a clean environment and friendly staff. The food touches on a variety of european styles while still remaining familiar and comforting. Choose to dine in or call ahead and order take out. Later in the evening is a perfect time to try the delicious homemade desserts or french crepes with a hot cup of coffee or specialty drink. Have a look at the menu and see what there is to try. And of course if you have any questions at all don't hesitate to call!